The solid wood base of the Sandberg Buffet Lamp is finished in an aged, grey wash accented with brushed nickel-plated details. The square hardback shade is a taupe, beige fabric with natural slubbing. Designed by Carolyn Kinder International, the Sandberg Buffet Lamp works well with today’s popular Modern Country home styles. FAvailable to trade professionals at Uttermost.com. 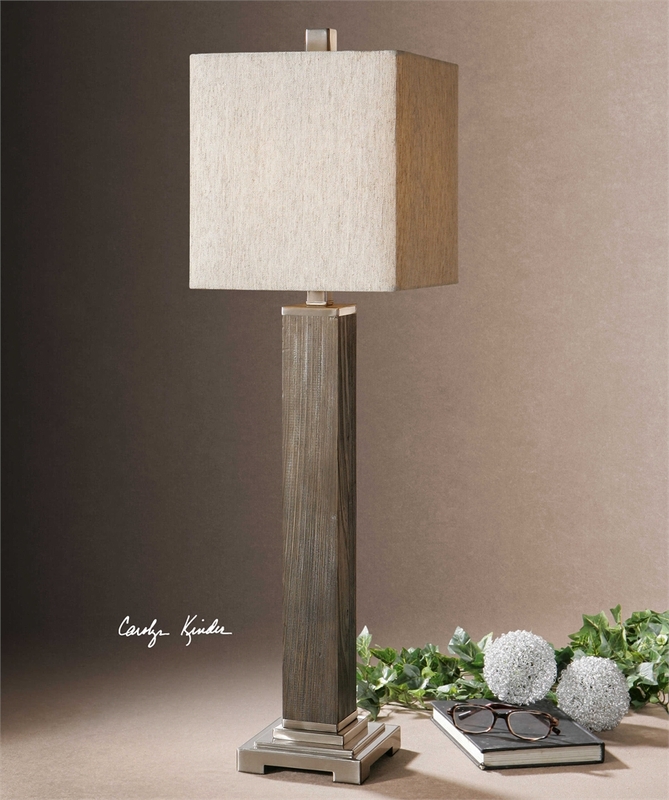 For retail purchase Google keywords “Carolyn Kinder Sandberg Aged Grey Wood Lamp”.